It's that time of year when we start looking at the Christmas market and the obvious place to begin is with the classic gift, the train set. 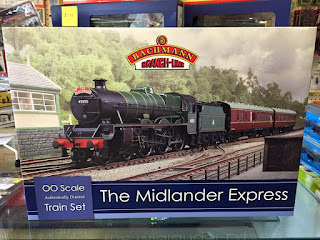 There is no right or wrong answer when it comes to choosing a set for someone but it helps to know what they like when it comes to railways and what they'd be looking for in a starter set. 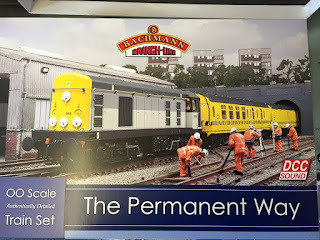 The last Bachmann set we are going to feature is The Permanent Way, a bit different to the other two this one comes complete with Digital Sound fitted to the loco and the entry level Bachmann digital controller. The liveries are very much set in the 90s so only really suits those who want to model the more contemporary scene. Like The Midlander Express it also features just the basic oval of track. Although there is a degree of shunting options that would be available here and being a class 20 it would be well suited to hauling and shunting wagons. 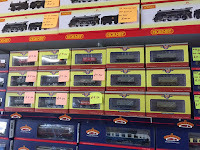 High quality products, the locos, coaches and wagons are all as good as the best products the range has to offer. Good quality, durable, control systems. We have been using the same Bachmann controller on our test layout for the best part of a decade and it works just as well as a new one. One word of caution regarding the basic Digital Controller is that it only accommodates nine locomotive addresses and can be easily outgrown. Having said that it is also a good quality, durable controller. Excellent value for money for the contents included. Military Manoeuvres RRP 169.95, Our Price £145. 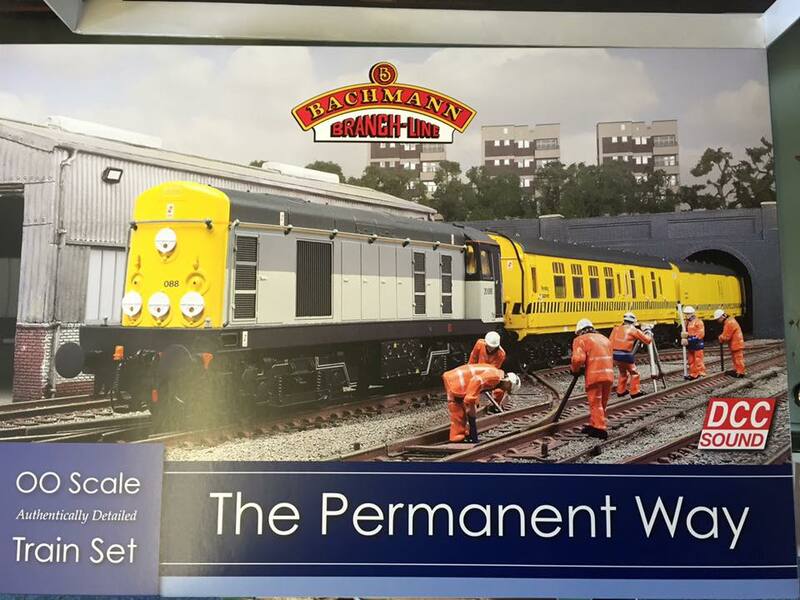 The Permanent Way RRP 274.95, Our Price £220. 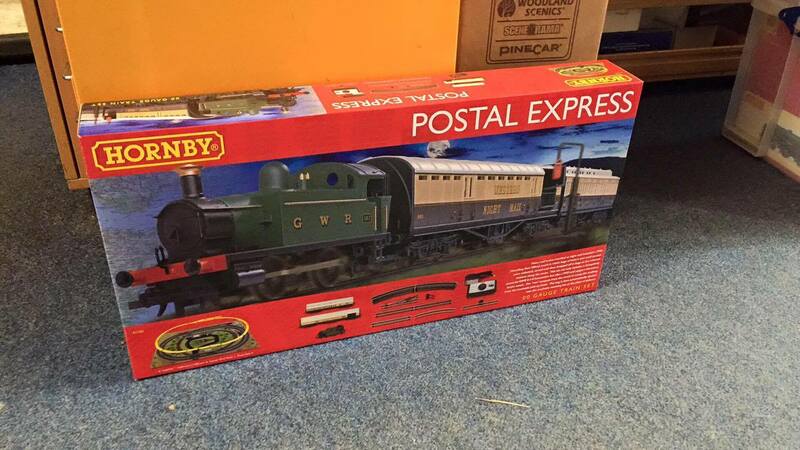 The Western Wanderer (Pannier Tank and 2 wagons) RRP £99.95, Our Price £85. RRP £174.95, Our Price £149. Rural Commuter (105 DMU) RRP £99.95, Our Price £85. We're not very keen on Hornby Sets here (even though they are the brand name most people are familiar with) but we have got The Postal Express in stock. 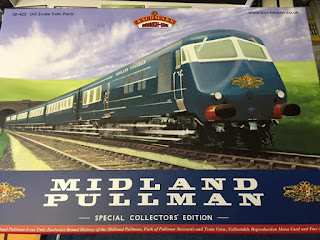 Which with it's working mail coach and siding offers a great deal of play value and is great for the younger modeller, although we don't recommend it for the serious modeller... 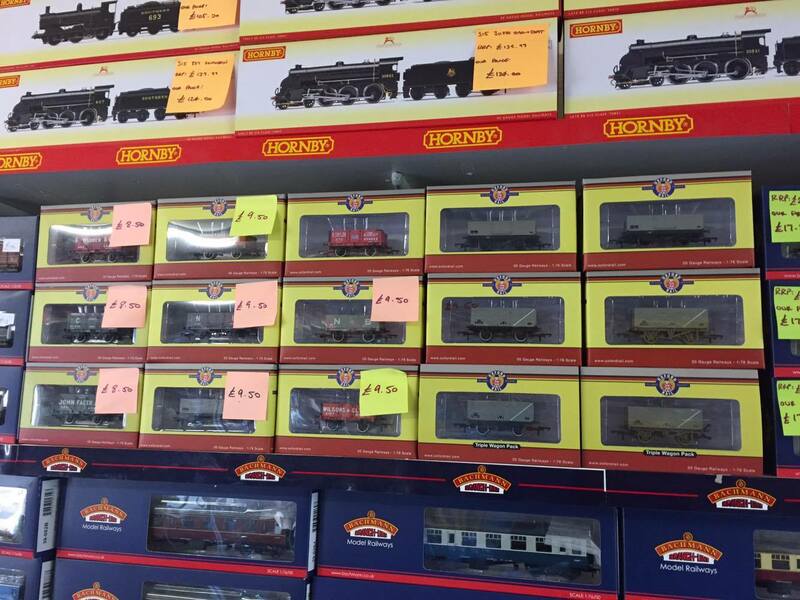 Sadly Hornby don't tend to offer their highest quality products in sets, usually it's products from their RailRoad range. Their controllers aren't the most robust of items either... This set RRPs at £119.99 we have it on Special Offer at £80. Although we don't keep much N gauge in stock we do have two Graham Farish sets available, being made by Bachmann they are of similar quality to the Bachmann sets. 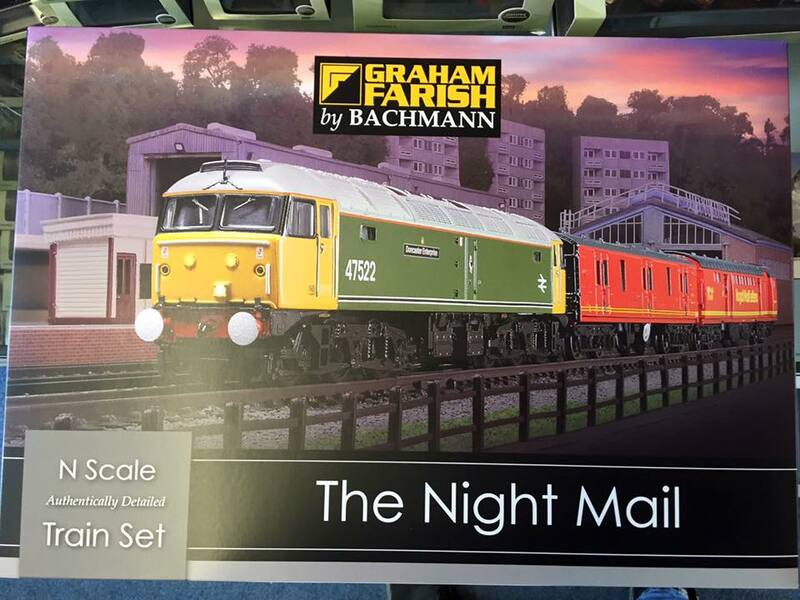 We have The Night Mail for modern image fans featuring a Class 47 with 2 mail coaches and a basic oval of track, RRP £199.95, Our Price £170. For the steam fan, we have A Day At The Races (not pictured) featuring a BR Std 3 tank engine and 3 horseboxes in BR green. This set also has a siding with it. RRP £189.95, Our Price £162. Both sets come with the excellent Bachmann Controller that the OO sets also come with. That's the sets end of the market looked at, now a time for a look at the other end of the market for 'stocking fillers' and 'cheap' gifts. Starting off with the excellent range of Oxford Wagons, at the time of writing all of the single 4 wheel wagons from Oxford come in at under £10 each. Wagons from Bachmann generally range from £12-£22 so there's a significant saving buying Oxford wagons even if the range isn't quite as big. Another ever popular gift are the Metcalfe range of cardboard building kits, easy to put together and of solid build quality they are popular with those new to the hobby and experienced modellers alike. Prices on these kits ranges from £8 up to £20. 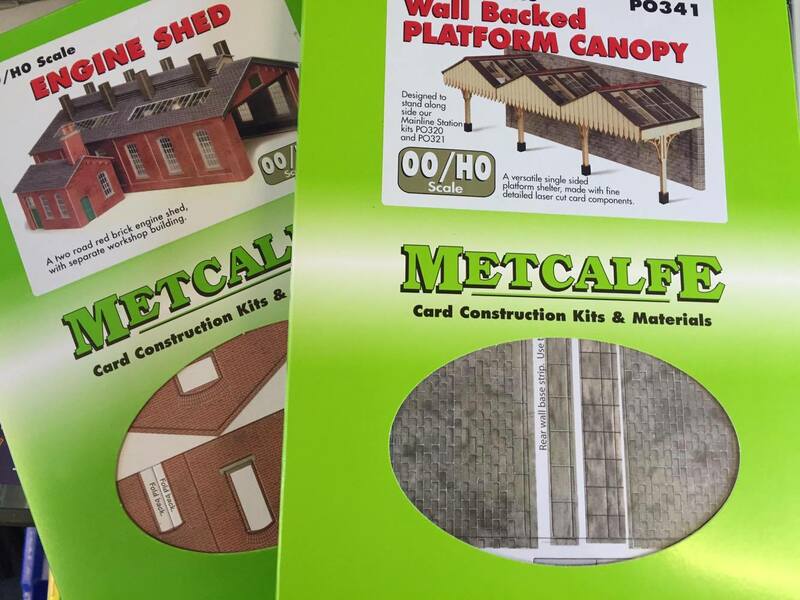 We also keep a small range of N gauge Metcalfe products in stock. 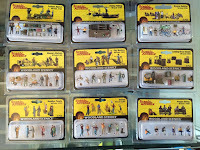 Another suitable avenue for the cheaper gift is the pack of figures. 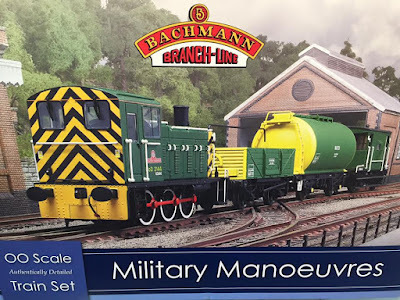 We have stocked (and still do stock) the excellent range of figures from Bachmann and Modelscene. 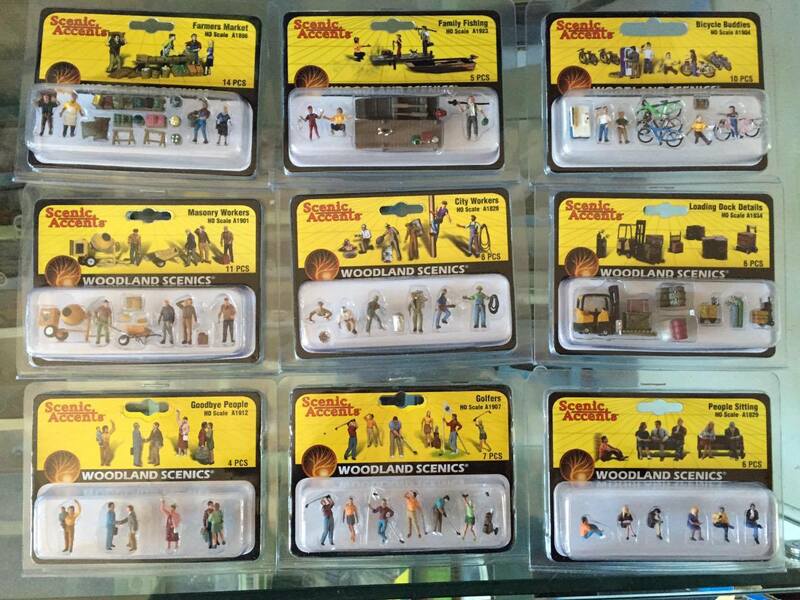 But recently have taken delivery of a new range from Woodland Scenics which feature many different scenarios to those we have seen before including Golfers, Fishermen, Cyclists and much more. Prices range from £7-£12. 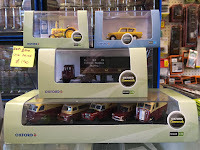 Last up in our selection are the excellent range of road vehicles from Oxford Diecast. The range includes, cars, buses, lorries, farm vehicles, emergency services vehicles, even Ice Cream vans. A lot of the vehicles are represented in real life corporate colours (including all the railway companies) plus TV and film colour schemes too, the Anglia (top right) is in the same colours as Vyvyan's in The Young Ones! Prices range for £4 for a single car up to £25 for certain lorries & Gift Packs. 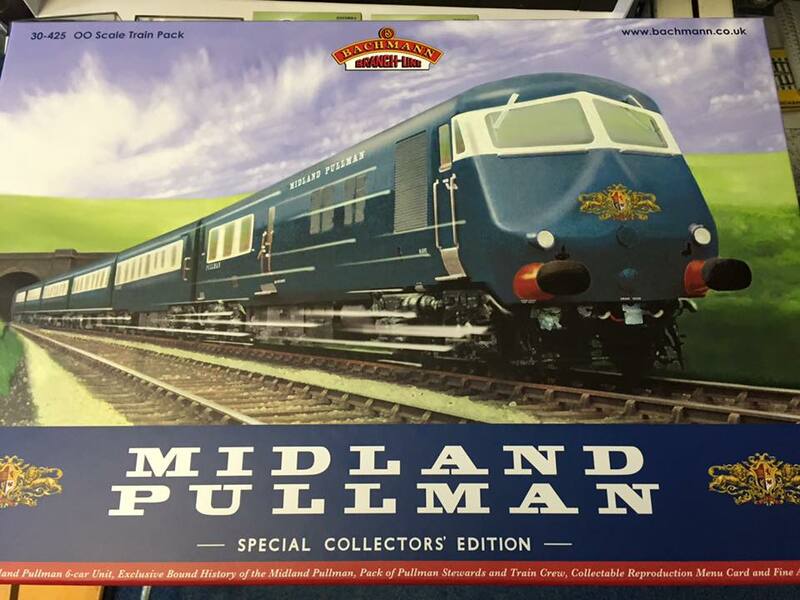 The stunning Bachmann Midland Pullman, which we have featured heavily in a previous blog. A truly magnificent model but costing an eye watering £509.95 (with discount!) it certainly doesn't come cheap! These are just a few ideas we have for suitable gifts for Christmas. We do, of course, stock a comprehensive range of Locomotives, Coaches, Wagons, Buildings and Scenic accessories to suit all budgets and tastes. Plus of course, if you're really stuck for what to buy we still do the good old Gift Voucher!